The Constitutional Convention of 1787 met and wrote the language of Article V against this historical backdrop. Any provisions in the document that they wrote should be taken in this context. 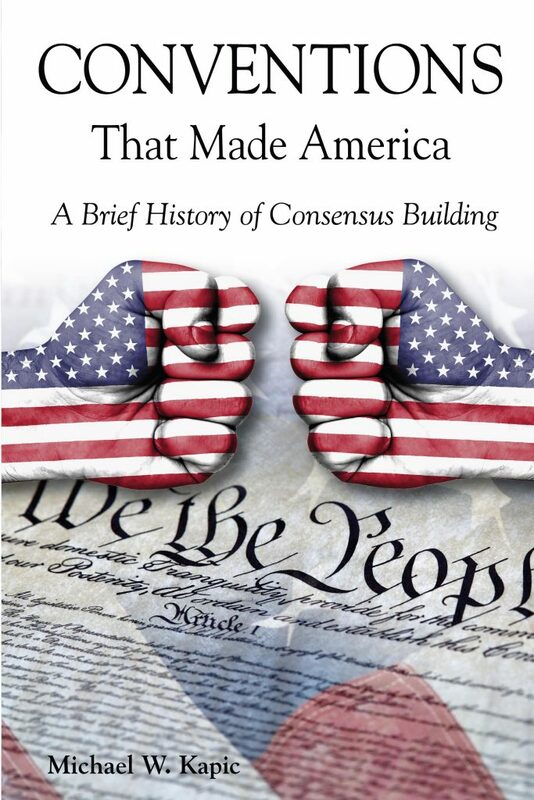 Imagine a world in which Congress was not involved in the amendment process at all! That’s where the Convention delegates began their discussions. Now Congress was involved, but its role was still fairly logistical. It “shall” call a Convention when the states ask for one. 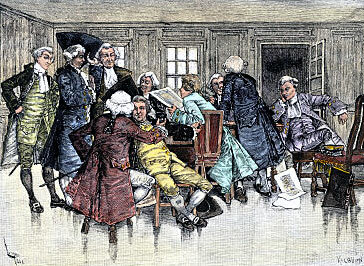 The Congress, whenever two thirds of both Houses shall deem it necessary, shall propose Amendments to this Constitution, or, on the Application of the Legislatures of two thirds of the several States, shall call a Convention for proposing Amendments, which, in either Case, shall be valid to all Intents and Purposes, as Part of this Constitution, when ratified by the Legislatures of three fourths of the several States . . . . 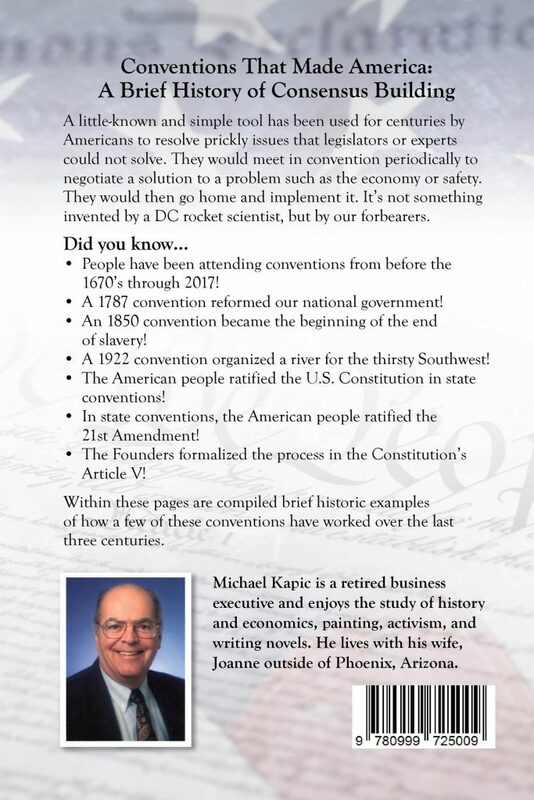 Some opponents of the Article V Convention process have made note of the plural “amendments” in the constitutional text. They argue that states must call for a plenipotentiary convention or none at all. Such an interpretation does not make sense, when the debates in the Constitutional Convention are taken into consideration. The delegates to the Convention were trying to give the states a way to defend themselves. Why would they then handicap the states by restricting what kinds of conventions they may or may not call? [T]he purpose of the Convention Clause is to allow the States to circumvent a recalcitrant Congress. . . . The prospect of a [plenipotentiary] convention would raise the specter of drastic change and upheaval in our constitutional system. State legislatures would likely never apply for a convention in the face of such uncertainties about its results, especially in the face of a hostile national legislature. States are far more likely to be motivated to call a convention to address particular issues. If the States were unable to limit the scope of a convention, and therefore never applied for one, the purpose of the Convention Clause would be frustrated.
. 1 The Records of the Federal Convention of 1787, at 37 (Max Farrand ed., 1937) (hereinafter Records of the Federal Convention). Id. at 22.
. 2 id. at 188.
. U.S. Const. art. V.
. The Federalist No. 85, at 525 (Alexander Hamilton) (Clinton Rossiter ed., Signet Classic 2003) (1961).
. Note, The Other Way to Amend the Constitution: The Article V Constitutional Convention Amendment Process, 30 Harv. J.L. & Pub. Pol’y 1005, 1018 (2007).